Deborah Pace is an award-winning Mixed Media Artist, a Certified Zentangle Teacher and a Sulky Instructor. Her work appears in “ZenDoodles: Tons of Tangles” published by Northlight Books. 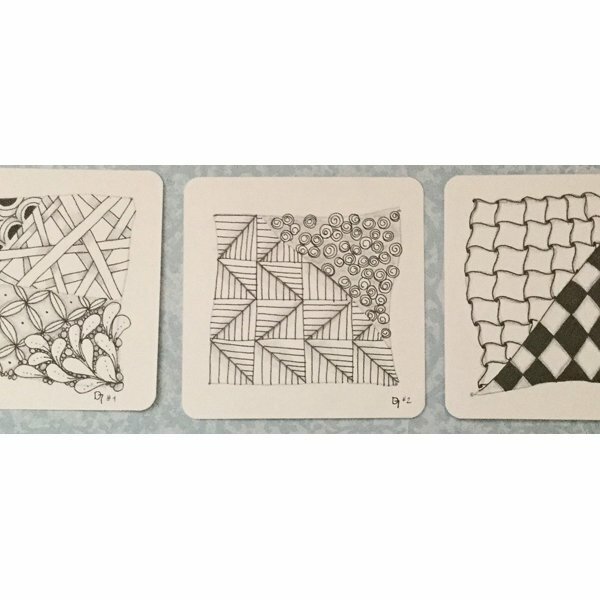 Zentangle is an easy-to-learn, relaxing and fun way to create beautiful images by drawing structured patterns one line at a time. You do NOT need to know how to draw! In this class you’ll learn basic Zentangle patterns and shading to give them more dimension. $10 Kit Fee payable to instructor has all your supplies!